The book is about a group of girls who live in a ballet school. They train every day and they are under very strict rules. The head of this school is a young man called Master. For some odd reason, all girls and women are infatuated with him and do what they can to please him. Right from the beginning of the story, it is pretty clear that there is more than meets the eye about this school and the Master. Penny embarks on an adventure to figure out what is happening and to free herself, and maybe others, from this creepy school. The story is set in the 19th century, but the advanced technology gives it a sci-fi feeling to it. The plot is fast-paced and I had no problems finishing the novel in a couple of days (with breaks, mid-terms period ugh); it was also nice to read a novel under 400 pages, just the way I like them. The story itself is pretty captivating and it makes you want to know how the Master does what he does, and why. Most chapters are written from Penny’s point of view, but there are some from Master’s perspective. Penny is a young teen who is very strong-willed. She knows what she wants and she goes for it. Penny also has a strong mind and an inclination to question everything. Master is a creepy, sadistic man. I will only say this – maybe if he had a better childhood and a loving family, he wouldn’t have turned up the way he did. Cricket – warm, friendly, and joyous. He is Penny’s helper. I always enjoyed the sense with him. Surprisingly, I enjoyed the romance in this novel. While it is not the main plot of the novel, it did add nice moments. I am referring to all the moments that the two lovebirds interacted with each other, even before they got together. Overall, I enjoyed this novel. 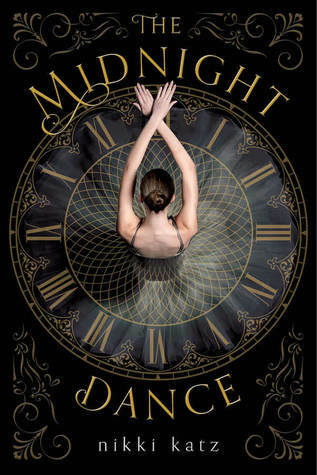 Even though ballet it’s not the focus of the book, it was a nice read. I enojyed the spin and twists, as well as the overall story. Yes, I do recommend this novel. It has mystery, some suspense, ballet, romance, and creepiness. Moreover, it is a novel set in the 19th century with sci-fi elements. I think most people will enjoy reading this novel. Enter for a chance to win a Print copy of The Midnight Dance by Nikki Katz! Good Luck !! !